Anna is holding a giveaway in celebration of Daily Optimystique's seventh anniversary. 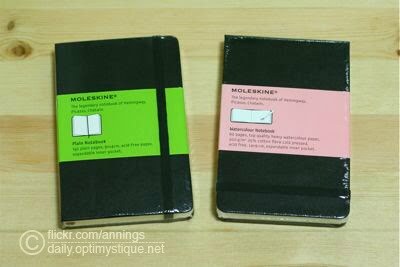 Two Lucky followers get to take home a Moleskin HERE. The first will receive the Plain Notebook, while the second the Watercolour Notebook.